The 14-inch beast has been hailed as the largest oyster in the world. Today in seafood news, NPR brings word of a Guinness World Record-shattering oyster that measures 14 inches long and lives in Denmark. 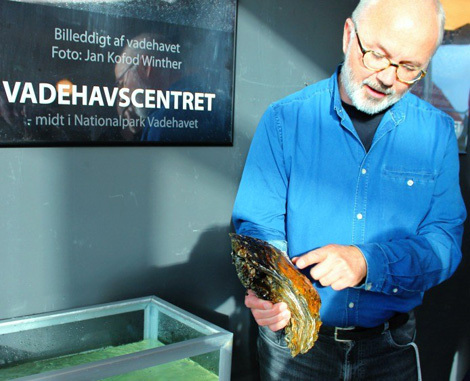 The beast of a bivalve was discovered by the folks at Wadden Sea Centre, where it is still alive. Apparently, it had five other regular-size oysters clinging to it, probably believing it to be the mother ship that would take them to a better life. As with all marine-life discoveries, our first question is obviously, Can you eat it? Anyone who has a problem with plump, meaty oysters might balk at the idea, but maybe you could chop it up and use it in a “single-origin” oyster pan roast? Or maybe we should just let this wonderful creature be great at the Sea Centre.